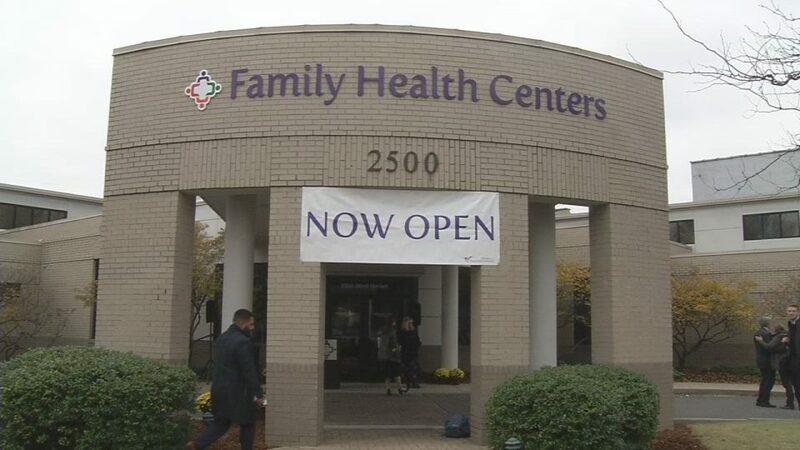 A health clinic at 2500 West Market Street in the Russell neighborhood that was in danger of permanently staying closed has reopened. KentuckyOne Health shut down the clinic in August, and it caused nurse practitioner Vivianne Griffiths a lot of pain to tell her patients she could no longer treat their pain. The patients who relied on the convenient access to health care in their neighborhood would have to find a new place to go or not get care at all. “We were going through a transition with the system and our financial situation, and we had low patient volume here,” KentuckyOne Medical Group President Charlie Powell said. Back in May, KentuckyOne announced it would sell most of its Louisville facilities because it was losing tens of millions of dollars. The clinic in west Louisville was one of them. That’s when people in the Russell community, like Griffiths, spoke up, and KentuckyOne listened. The clinic closed in August, but KentuckyOne transferred ownership over to Family Health Centers, Inc. The fate of other KentuckyOne facilities is still unknown. It recently announced its taking longer than expected to sell places like Jewish Hospital and Frazier Rehab. That final date was supposed to be January, but KentuckyOne is taking until at least the end of June to sell off its Louisville facilities.